Jamaica Tourist Board director Donovan White has said cultural tourism will be central to the hospitality offering in the country moving forward. Speaking to an industry audience this morning during the opening of Caribbean Tourism Marketplace at the Montego Bay Conference Centre, White revealed revenue from the travel sector was now growing faster than arrival numbers. This was part of a deliberate policy to showcase the food, music and people of the island, he explained. 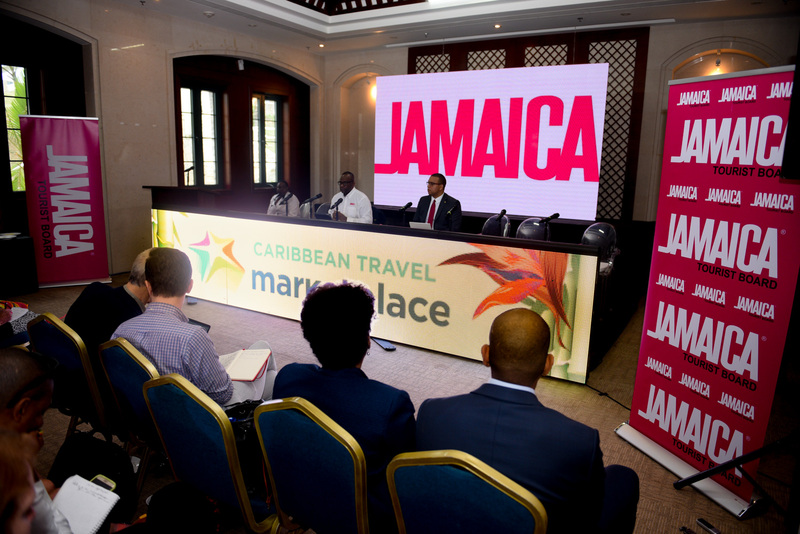 Jamaica welcomed 4.31 million guests last year, an increase of one per cent on the previous year, while revenue from tourism increased 8.6 per cent to $3.3 billion. “This is the first year we have seen revenues outpace arrivals growth – this is part of a deliberate strategy to embrace a more experiential approach,” White explained. The decision to boost experiential tourism is a move away from the more traditional all-inclusive product Jamaica is commonly known for. In wide ranging remarks, White confirmed Sangster International Airport was currently being expanded in order to boost tourism capacity. Both the apron and arrivals terminal are seeing an increase in size to welcome larger aircraft. New hotel capacity was also coming to the market, White revealed. Excellence Oyster Bay recently started to welcome guests, while the S Hotel opened earlier this month. In total there are currently 7,500 hotel rooms under construction in Jamaica, with 1,200 to open this year. This compares to a total of 30,000 rooms currently in operation. In terms of airlift, Frontier Airlines recently launched a service to Jamaica from Raleigh, North Carolina, and will launch a Philadelphia connection in February. Delta Air Lines has launched a new service from JFK airport in New York into Kingston, while Spirit Airlines now offers a three times weekly flight from the US. Southwest Airlines will add a St Louis-Montego Bay route to its network in March. 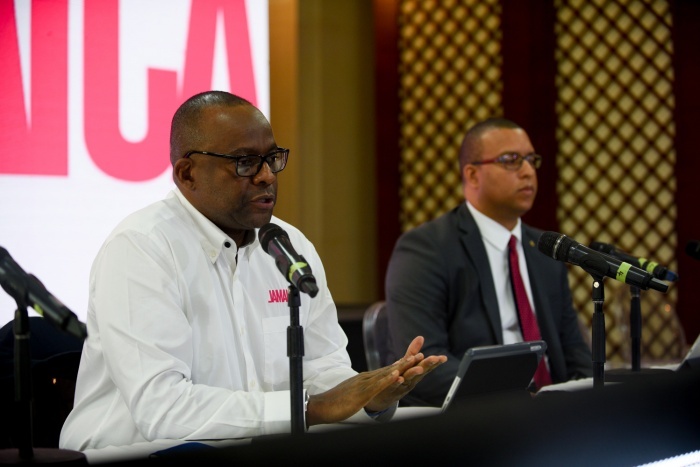 In his remarks, White also revealed Jamaica has dropped its ‘Home of Alright’ slogan, which had been in use for the past four years. The Jamaica Tourist Board has now moved to a ‘One Love’ tagline and this will stay in place until PR company Beautiful Destinations completes plans for a new global advertising campaign later this year. There are currently discussions to legalise marijuana in Jamaica. “There is a groundswell globally on this issue – and we are taking an interest in this – but we are cautious and circumspect about how this well develop in our society,” explained White. Carrying small amounts of cannabis was reduced to a petty offence in 2015, but the drug remains illegal. A legalisation might be used to boost tourism, White added. “We have to ensure we have given due thought to the consequences so that our policy deals with the ramifications of legalising cannabis,” added White.